Are You Required to Get the HEP Energy Auditor Certification? Are You Required to Have the HEP Energy Auditor Certification? If you aren’t familiar with the Home Energy Professional (HEP) Energy Auditor certification yet, you will be soon. 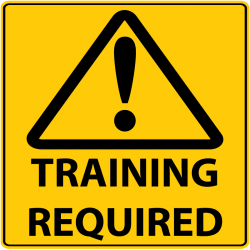 Many states and counties now require this advanced certification, and others are expected to make it mandatory in the near future. In addition, several DOE Weatherization Assistance Programs (WAP) require a company to have a certified HEP Energy Auditor on staff. And even more regional WAP programs are going to require the certification in the coming months. Not sure if your location or WAP requires the HEP Energy Auditor certification (or will soon), call us for more information (toll-free: (855) 787-2323). What is HEP Energy Auditor Certification? Offered by the Building Performance Institute (BPI) and supported by U.S. Department of Energy (DOE) and National Renewable Energy Laboratory (NREL). An advanced certification that requires experienced home energy professionals to demonstrate comprehensive knowledge, practical skills, and technical proficiency in energy auditing. There are prerequisites to this certification, and candidates must have BPI approval before taking their exam. See Prerequisites section below. 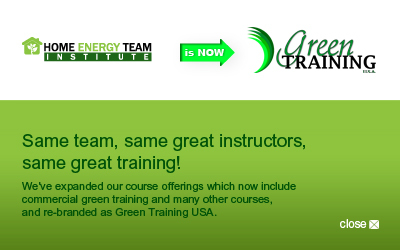 Once you register with Green Training USA – we are a team, and we see you through your training until you complete it successfully, and even afterwards. We will be offering classes in Mississippi, Maryland, Georgia, and Texas soon, or we can come to you if you have 6 or more students. If you have any questions and would like to speak to someone directly, please feel free to call Kelly Caplenas at (678) 381-8513. Or submit your request below and we'll call you during your preferred time slot. You must have the following prerequisites and have BPI approval before taking the written or field exams. (We can help if needed). Completed (with proof) 15 comprehensive whole-house audits, such as home performance, WAP, RESNET, BPI, etc.